Jon Stahl points us to a piece in the Seattle Times on the emerging local citizen journalism movement in Seattle. Notes a journalism educator in the article, "We're in a time when activist citizens and sometimes even the general public have an opportunity to be involved and create meaningful and easy-to-share journalism." Now substitute the word "journalism" and think about the sharing notes and knowledge from conference. What can we learn from citizen journalism newsgathering techniques that might be useful to capturing collaborative knowledge from nonprofit conferences? Here's how it works: NewsCloud readers submit stories as they browse news sites and blogs from around the Web. Other readers comment and vote on incoming stories. Highly regarded storise move to the top of the front page while others fall off over time. Here's what I found interesting about their newsgathering process. They offer multiple strategies for readers to contribute news. Firefox Bookmarklet: The site offers a bookmarklet that readers can use to add news to the site while browsing other sites. Del.icio.us: The site offers "two-way synchronization" with Del.icio.us. This means that readers can automatically add stories to NewsCloud when posting to Del.icio.us. Videos: The site also includes videos! Bloglines: They offer a greasemonkey script that allows their readers to add stories to directly from Bloglines. Tools for Bloggers: They offer automatic cross-posting of NewsCloud stories to reader's own blogs. They encourage bloggers to add a "Add to NewsCloud" button for their blogs. I love the "two-way synchronization" and makes say "gee whiz" at the collaboration community filtering going on and makes me wonder about how and where the human editing or newsmastering comes into play. Is it all automated? NewsCloud is a fairly new community and will be interesting to where it goes. It also makes me wonder which of these technical tools might be useful to conference reporting. Now, of course, depends on the level of technology savvy of your reporters .... and these tools might be better for ongoing newsgathering versus a short-term event. Maybe for a site that evolves out of a conference? Just when I was going to turn off trackbacks ... this happens .. Lately, the crap to good stuff ratio has been a little skewed toward crap when it comes to trackbacks and somewhat with comments. I've always placed a high value on trackbacks and comments and the ability to get into a conversation - I get the best information and links from them. But, lately, there has been a lot of trackback and comment spam. At first, I thought it might have something to do with this, but it is just spam. Unfortunately, you can't turn off trackbacks or comment selectively with this blogging platform (unless I missed something) it is either on or off. While I was debating whether to moderate or not, I received a track back from this fabulous blog, Bamboo Us. So, I now I have to keep a watch and see if it isn't less work to moderate rather than to unpublish or IP ban. How are you handling comments and trackbacks? My colleague Loretta Donovan pinged me to let me know of her newest blog and her take on the topic of "Capturing Collaborative Knowledge from Nonprofit Events." I love seeing this through Loretta's lens of learning. Specificallly, she challenges the idea put forth by Nancy White "The act of production is an act of meaning making." The first supposition is that as various means are used to capture the proceedings of an event, (Nancy mentions: Chat/IRC, Videocasts, VOIPcasts, Podcasts, and Visual Facilitation), the performance of encapsulating and depicting is in itself learning. You could argue that the person who is collecting and synthesizing has acquired some information. Using tools and a process, the words, ideas, experience, sounds, etc., that are conveyed and shared within a context, are made available to a virtual audience. The more engaged the "recorder" is and the greater degree of processing needed to summarize, use metaphors, create analogies, connect to other facts (in the present moment and from the past), the richer that person's experience. The learning is not in that moment in which these actions are taking. That's simply because learning is a process that happens when the information shifts from short-term to long-term memory and results in changed beliefs and behaviors. Loretta, doe it depend on which learning theory you buy into? The content of blogs, podcasts, IMs, etc. can be offered up to an interested and engaged public. But, as such, it's just grist for the learning mill - it's not yet learning. Until the person on the receiving end of these technologies actively engages in a process of assimilation/reflection/application with the latent sources of knowledge, learning is still an unrealized possibility. I sometimes think the misconception about learning is a symptom of an information-rich world. It's easy to assume that if you have a lot of content, you have a lot of learning. Ninth-grade science (not the last course I took on the topic but one most folks have encountered) taught us about potential energy. The wood pile could (when ignited) provide a roaring fire; unlit it was just a lot of lumber. Those are two distinctly different states for the same commodity. The relationship of information to learning is more fluid as I think about it . . . a continuum with many phase changes along the way. At one end, the communicator sends a message . . . in between the recipient grabs it, chews it up, matches it to existing schema, dialogues about it, tries it out, makes it her own . . . voila learning - and maybe some life altering transformation! Via a post on David Wilcox's blog entitled "What does it take for online collaboration to work at events?" - there was a comment by Brian Kelly pointing to some of his resources on the topic. Today I attended the first in a series of N-TEN and Idealware Webinars called "Choosing a Blogging Tool" based on Idealware's excellent report. While I am familiar with the content, I am very impressed at how Laura Quinn can clearly describe the various software features in easy to understand terms. Great work! I was struck at the number of folks participating who had questions about blogging community platforms and level of the participant questions. As reported by the Executive Director of N-TEN, Katrin Verclas earlier this week, The Antonio Pizzigati Prize was awarded to George Hotelling, an open source software developer who built CitizenSpeak. But a big congratulations goes to Jo Lee - an amazing woman (and mother of two) who works in the nonprofit technology space - for all her work managing the project and making it a huge success. By day I'm a principal at Green Machine PR, a marketing and public relations firm that specializes in high tech and green tech. On the side I run CitizenSpeak. I also have two kids that many of you have seen at conferences, most memorably when my then 6 month old, in perfect Exorcist form, spit up an incredible volume of curdled milk during an N-TEN Conference presentation. 2. Why did you create CitizenSpeak? I started CitizenSpeak because I believe that online tools can help empower civic actors and grassroots organizations - the bedrock of a strong democracy. 3. What's the elevator speech for CitizenSpeak? CitizenSpeak is a free email advocacy service for grassroots organizations. Inspired by MoveOn email campaigns, CitizenSpeak provides the same e-advocacy capability at the community level. 4. What are some success stories of people using CitizenSpeak? CitizenSpeak has helped organizations and activists across the country get their s heard and achieve their goals, such as a Philadelphia neighborhood coalition that successfully battled a large multinational railroad company; a parent association that stopped the closing of a junior high in Providence RI, the national Container Recycling Institute which forced the EPA to take a meeting on bottle recycling, a Chicago neighborhood organization protect affordable housing and fight gentrification. You can read case studies here. 5. How did you hook up with George Hotelling? I owe the CivicSpace community for this fortuitous virtual meeting. (Despite working with George for over a year, we've never met in person.) I posted a message on a CivicSpace listserv about my plans to make CitizenSpeak into an open source module on Drupal. People passed the message along and offered tons of advice. It feels GREAT, especially since it's the closest I'll ever get to a MacArthur award! I'm not alone. Lots of people do this, including yourself. You have to have a job to pay the bills and you have to pay attention to your kids so they don't grow up to be psycho killers. And you have to be an activist otherwise the nut jobs will take over the world. This screencast focuses on how nonprofits can use flickr and creative commons licensing to search for powerful visuals to use in their presentations without violating copyright laws. But first, I'd like to say a few words about crafting good powerpoint presentations. There a huge debate about whether powerpoint is your friend or foe. (See here , here , and here ). I think the issue is not so much with the tool, but with terrible presentation design. The problem is that many people use the text bullet points templates to communicate their information, rather than the power of visuals to tell their organization's story. So, before we go further, I suggest that you obtain a copy of Andy Goodman's Why Bad Presentations Happen to Good Causes. It is the single best resource for nonprofits staff members (well anyone, really) who want to improve their presentation design and delivery skills. So, let's get back to the challenge of finding powerful visuals to illustrate a point or a story in your presentation. Where can you find photos that aren't outrageously expensive or under copyright protection? Certainly, if your organization owns a decent digital camera and uses it creatively to document programs, you might already have most of what you need. But not all. You could pay for banal photo stock, but there is another option. Flickr. Flickr is a web application that allows anyone to share and organize photographs online. 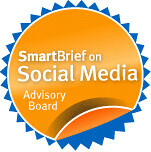 It's touted as one of the Web's best examples of social media software. While your nonprofit can also use Flickr to reach new people who may interested in your cause, it can also be a terrific photo resource. And, depending on the license, you are free to use many of them. Flickr is fairly easy to use, the basics can be found here. You'll be uploading, sharing, and searching for photos in no time. It's great to enhance your presentations with photos found in flickr, but you may be wondering about copyright laws. A nonprofit organized named Creative Commons has made it easy for flickr photographers to share or protect their photos by developing flexible and voluntary "some rights reserved" copyright licenses for creative works. Not all photos in flickr are available under a Creative Commons license and there are different types of licenses that have different types of restrictions. But flickr has an excellent information page that will keep you from breaking any laws and the Creative Commons site offers more detailed information. My screencast focuses on how to use the search by full text and tag features, search by creative commons licenses, how to give photographer proper attribution, and how to download. I also started an affinity group (listserv) over at N-TEN called Flickr for Nonprofits. If you're interested in discussing flickr in nonprofits, come on and join! Pssst... want to see the future? Our friends over at Green Media Toolshed / Netcentric Campaigns are about to launch a powerful new service which harnesses distributed research from a loose network of volunteers. Volunteers are quickly checking and verifying changes in media lists. The lists are an important tool used by folks communicating environmental messages through the media. Not only is the process totally painless, it's an intriguing glimpse at an important emerging strategy for accomplishing work and building powerful information assets for progressive movements. GMT / Netcentric Campaigns are breaking a new way to create collective impact by harnessing small amounts of effort from large numbers of volunteers for this and other cool projects. Hmm .... is distrubted volunteer created "citizen media" far behind? Today, over at Netsquared I summarized some of the live blog posts coming from the Web of Change Conference. I did some searches on the conference tag, woc2006 and noticed that the tag is the same for the World Orienteering Championship. It made me think that you have to think a little about choosing an event tag. -It should be unique, unless for some reason you want to integrate or connect with another tag stream. I still keep thinking about one of the comments that someone made me to during the workshop I did with Kaliya Hamlin on Web2.0 tools at NCDD. "How can you use a tag to enter into a dialogue with a group or community that has a different view or opinion on the issue? 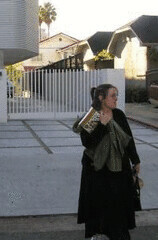 It seems like a tag can create a silo." -It should be something that dyslexics or fast typists won't screw up! Maybe this is my unique issue, but tags that have - or _ for example. I wrote a blurb on Netsquared about the HumaniNet's Sim Day event. Luckily Seth Mazow from Interplast, who attended the event, not only posted a recap but also captured a few words on video from Gregg Swanson, Humaninet's ED. Keep an eye on their blog for more information. Makes me wonder about whether or not the nonprofits attending this event would be the right users for Ken Thompson's Swarm Teams. Psst ..where you can read blogs written by nonprofit and foundation leaders? Hmm .. got your attention? Well, Nancy Schwartz certainly got mine with her directory of nonprofit and foundation CEO blogs. There is only one blog described so far and she is asking folks to refer others via email. I am wondering if they will be hard to find. I've noticed quite a few anonymous blogs from Philthanthropic leaders and most have been abandoned. I did manage to find one or two, although not quite the precise category. Good luck with the directory! Cool Cat Teacher Blog"Teaching content with new tools, enthusiasm, and belief that teaching is a high calling." bring attention to a post "The Power of the Newbie." Take screen shots by pressing Ctrl+Shift+Print Scrn and copying them into your photo program. Save it as a jpeg, label it if necessary, and upload it as part of your blog post. I like people to draw me maps when I travel...screen shots are maps for online learners and should be used! Immediately blog while it is fresh on your mind. Make your target audience - "Myself just prior to attempting this" and make sure you list steps and nuances clearly. Following the Ten Blogging Habits that Win discussed last Friday when you post. It's one way that blogs can be very valuable. I've decided to blog about my forays into videoblogging and whatever else challenges me. So, I guess it isn't a waste of time. However, it raises a question in my mind how we can collectively harness the power of blogs/vlogs/screencasts to share tacit knowledge with our connected colleagues and peers? I got a comment on one of my vlogging for nonprofits posts from Devlon of LoadedPun who tipped me off to a wordpress plugin that he created for live vlog/blog pledge drives. (It was used for the HaveMoneyWillVlog project.) It allows a vlogger/blogger to add pledge drive on the blog - visitors can pledge, have it be linked to PayPal, and then have a graph show the progress towards the goal. Now, I don't necessarily see this as a substitute for online fundraising strategy/system, but I find it interesting as a online grassroots technique. So of like the Web2.0 version of passing the hat around to friends for a personal or community cause. There is also Chipin that is also a widget, but can be plugged into a number of other blogging and other platforms. Pamela Ashlund's first job was with a small nonprofit that provided services for the homeless and mentally ill over twenty years ago. “I was hired to write their newsletter, but the budget was so tight that I shared an office with the controller. He wanted to take a vacation so he cross-trained me in accounting.” She has been a nonprofit finance executive ever since. Pamela then worked for the YWCA of Sonoma County, a nonprofit focused on domestic violence and childcare before moving to a large community action nonprofit where she became the financial manager. Along the way, she was a consultant, assisting nonprofits with new accounting software systems. She says, “One such consulting job brought me to LA and made me an offer I couldn’t refuse.” Her next job was with the Urban Conservation Corps in downtown LA, her current employer. In January, 2006, she started a blog, the Nonprofit Eye, to write about professional topics of interest related to her work as a nonprofit finance professional. She caught my attention when she announced her blog over at Netsquared. Your blog isn't an anonymous blog, but it is somewhat hard to find out about you and the organizations you've worked with. Does your current nonprofit employer know you're blogging? That’s a funny story. I started a blog as an online parody of my nonprofit workplace, but made a classic newbie mistake of naming my employer. I thought no one would ever see the blog. Little did I know .... Worse yet, it was a two post experiment which I completely forgot about until it was “discovered” by my organization's marketing department. They were doing Internet searches for reputation management and it turned up. Although I wasn’t fired for writing a blog, I was counseled. It was a hard lesson and I wrote about it on my blog . Now, I try to keep my working relationship with my employer quite separate from my blogging life. What advice would you give to other individuals who are staff members at nonprofits and have professional/personal blogs? I still get a little nervous when I hit submit even though I don't write about my work life. You have to remember that you are representing yourself and by extension your organization and sometimes both. There is a gray line between the two. I think that blogging could be such great buzz for nonprofits, but a personal/professional blog is not a place to air your dirty laundry. A blog encourages openness and sometimes you might type things that you wouldn't say in other circumstances. I think the key is to use common sense. Doe anyone at your nonprofit read your blog? Well, I don't send links to them. I just publish it. I suspect not because they're not techies. They might come across it professionally now that I write about industry issues. However, I think they would be proud. Do you think there is a benefit to a nonprofit organization when individuals/staff members have a personal/professional blog? I think that is very beneficial for an organization. But we're entering into new territory and I think you need to negotiate with your employer before hand. There is a blog - called fispace. That's a personal/professional blog written by a nonprofit staff member that makes the organization look good. Should nonprofits have policies around staff blogging? Some already do, see my blog: Whistleblogging & Whistle Blogging Part II. I find the intersection of whistle blowing and blogging to be a source of humor as technology inevitably clashes with policy. How have you promoted and marketed your blog? Even though I promised myself I wouldn’t blog about blogging, I did one post Birth of a Blog where I tell the tale of my attempts at marketing and promotion. What are the 3 or 4 best blogs by women who write about the nonprofit sector? I discovered the nonprofit blogosphere after I heard a speaker at California Association of Nonprofits, Bruce Sievers, Visiting Scholar at Stanford University give a talk called “A Tale of Three Cities”. I looked him up on the net and found SSRI where I found a link to White Courtesy Telephone. There I found links to other nonprofit bloggers including yours! In my talk I suggested that this kind of unconscious transmission of tacit knowledge may be a key rationale for the practice of pair programming. Two programmers, working side by side, exchange tacit knowledge by osmosis. To generalize from programming to all use of software-based tools, the equivalent of pair programming -- that is, direct observation of one another's use of such tools -- is ideal. But that's not always possible, in which case live screensharing or asynchronous screencasting is the next best thing to being there. Read this article so if this happens to you, you are prepared. At this summer's Blogher Conference, I had the opportunity to hear Lauren Gelman, Associate Director of Stanford Law School's Center for Internet and Society, and Dean of State of Play Academy present at the blogging communities session called, "So, You Have This Crazy Idea." She gave us a primer on copyright and fairuse, shared her experienced from a blogging community for law students, talked about her plans for teaching this topic on the 3-D virtual world, there.com. The State of Play is a law and technology academy built in a virtual world. The purpose is to challenge the traditional means of delivering legal education. 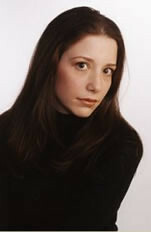 Lauren Gelman will be teaching a class called "Bloggers and Liability" and it will cover statutory and First Amendment protections for bloggers, recent cases that might affect them, and things you may need to worry about on a citizen journalism blog community site. The class runs this Tuesday, September 19 and Thursday, September 21, from 8:30-9:30 EST. Lauren is soliciting questions from interested participants at the State of Play Academy course website (login required if you want to post; otherwise, you may just click “guest access”). If you’re interested in attending and have never been in There.com, Lauren can get you an avatar — just email her at gelman at Stanford dot edu. Video Blogging Learning Journal: I have some exciting news! Read about it here. View the vlog post about it here. I'll still continue to blog here during the next two weeks, but will point you over to daily guest posts on Netsquared. -Many video bloggers do vlog posts where they aim the camera at themselves, talk, and let the video roll. I've been struggling with this technique because I can't quite get my face in the frame correctly by holding the camera out in front of me. Any advice? Ryanne told me to practice and that eventually I'd get a feel for what works. I didn't believe her ... but tried it anyway. Practice does help. When I saw Steve Garfield model this technique in his workshop at Boston Podcamp, I realized my problem! My arms are too short. So, I placed my camera on some books on a table and took test shots until it was framed appropriately. Don't ask how many different combinations of books were on that table! Later I saw him in the hall, I asked him to demonstrate using my camera. You can view that here. -When shooting, think of what it will be like to edit it. I left some spaces in what I was saying and I paused for a bit at the beginning, end, and inbetween ideas. This can help if you want cut it down in editing - makes it less jumpy. -I also need to be a set designer as well as an actress. I should think about the background being less distracting. I'm really more comfortable as a documentary maker and still prefer not to have the camera pointed at me. The popular 3D online world Second Life keeps popping up. It has bands, hotels, vendors selling virtual wares, a newspaper, a real-money economy (it's called RMT) and more. Why has SL caught on better than its predecessors? What's working? How is it different from WoW? What "real" things are taking place already in SL? Who has a virtual office there? What can we learn about the future of life from Second Life? As always, an IRC Chat will be available during the call, here. But this time there's more: we'll be in Second Life, too. Join us! (It's free.) See Second Life Resources for details. In late Spring, snapping turtles come out of their hibernation and look for a place to dig a hole. ? Last June, I was sitting outside in our backyard and was startled to see a giant snapping turtle walk right in front of me.? Today, we discovered what he or err she was up to! The best pieces I read so far about video editing that gets a novice up and started quickly is in the book Secrets of Videoblogging by Michael Verdi and Ryanne Hodson. Go buy the book, but while you're waiting for your amazon delivery, you can read Chapter 5 here. I'm stuck for now on a Windows XP platform (can't afford to invest in Mac but will eventually), so the free video editing program is MovieMaker. It is quite easy to use, especially if you're comfortable using PowerPoint. But, it doesn't export into quicktime and I really like the quality and look of quicktime versus WMV. So, I discovered that you can edit in Windows MovieMaker and export wit this format so you can import into QuickTime Pro and compress. I wanted to limit myself to no more than 20 minutes of editing as it is a nice day outside! Therefore, this is the rough cut. 2. Added a narration/ over the beginning ten seconds "Last June a snapping turtle visited our backyard" or some music. 3. Lengthened some of the titles - to improve reading comprehension - need to research about how long you need to leave titles. 4. Maybe added some cutaways that showed a diagram of how the turtles grow in eggs, or egg laying or field guide photo of male versus female snapping turtles. 3. Check out the podsafe music sites on Steve Garfield's Learn about Videoblogging for music to add to next edited attempt. Question: When is the best time in the editing process to consider music? How do you edit the visuals to sync to music so it is funny or entertaining? Andy Fluke from Thirteen Penny Picayune is really getting into blogging, mostly photo blogging. He's started a little content "Figure it Friday" Every Friday, he will post a photo and you get the challenge of figuring it out. The rules are here. This video to marks our 20th Wedding Anniversary which we are celebrating today! 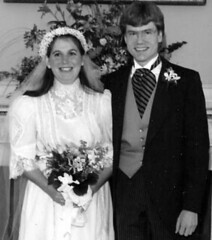 Our wedding was before the days when people created wedding blogs or wedding web sites or engagement moment sharing vlog posts -- and even a little before video taping was common. So, I decided to mark the Anniversary in flickr, blog post, and this vlog post. Since I'm learning, it's also part of learning journal. This video is not exactly in the "moment sharing" genre or what I would define as video capture, unedited, and quickly uploaded clip that joins a series of other clips to tell a story. I have a lot more to learn there, not technical, just developing an eye/ear for the right moment to capture. So, I consulted all the resources. I am working on a Windows XP platform - so I decided to use QuickTime pro to compress the AVI file. 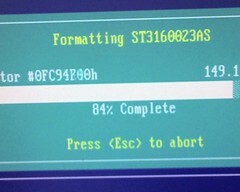 I found a few recipes for compression, although not a windows/quicktime pro one. So, I improvised and used these settings. I experimented with about 8 different variations, but this was the best. It compressed the file down to 5.7 MB and didn't loose too much quality. I uploaded it to Blip.tv and cut and pasted the code into this post. What I learned: I used the MPEG-4 compression because the file is compatible with both versions 6 & 7 of the QuickTime player, and it will playback on older computers. I tried the H.264 codec and the file was even smaller, with amazing quality - but is only compatible with Version 7 of Quicktime and according to what I read some servers have problems with it. -I didn't want to record it over and over again. So, I promised that I would just go with what I had. I tripped on my words in the beginning -- but I'm letting it go. I'm learning. -The sound is a little tinny -- it's a function of built-in mic of my camera. I've been told that newer versions of my camera like the SD630 have better sound quality. But investing in equipment is not an option at the moment. Is this the best option for compressing an AVI file in Windows environment to get the right balance of file size and sound/video quality? I want to move into more editing - like adding music, titles, transitions, ec. I already know that if I use MovieMaker in Windows the file format isn't compatible with QTPro. I would like to edit in QuickTime in a Windows environment with a cheap/free easy to use editing program. I have Adobe Premiere ...perhaps that is next. We got married! Happy Anniversary Walter! We met almost 30 years ago in music school. I was a flute major, he was a cello major. My first year at music school, I was looking for an apartment. I noticed that the apartment where my folks first lived as newlyweds was available for rent and I wanted to see what it looked it. He lived in that apartment! Although I didn't end up renting that place, we ended up meeting each other in a practice room at music school and have been together ever since. Our conservatory friends (a string quartet) played for our wedding. I walked down the aisle to Shostakovich's 8th String Quartet - (much to the dismay of my mother.) Our ceremony blended customs and traditions from both our families. At our reception, we had the best wine, including some bottles of Coche Dury Meursault. The good stuff was behind the bar and our friends who really appreciate wine were instructed to ask the bartender for the Meursault! 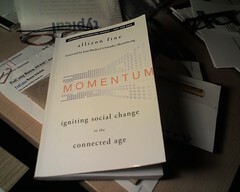 The day before I left for vacation I received a reviewer copy of Allison Fine's new book, Momentum: Igniting Social Change in the Connected Age. I've finally posted my review over at blogher. Check it out! While poking around Allison's Blogs, I came across her 100 Women blog which she describes as "a community of women who are interested and willing to share ideas, gadgets, how-tos. It is not a tutorial or self-help book, but it is women helping their girlfriends, sisters, colleagues to stay connected and relevant in this new Connected Age." I love the idea because it is such an effective way to learn these new tools. Informal learning from your peers is one of the best ways to get comfortable with using these new tools. I know from first-hand experience. 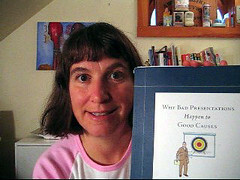 I've had the good fortune of participating in several similar online communities where women are supporting one another to learn how to use social media and other issues - blogher, Cyber Yenta's Boston TechnoBabes, N-TEN Affinity Group/TechnoBabes,GIGI (girl geeks of the world cafe), as well as mentoring young women bloggers. I've also found that events that use the "unconference" approach and informal learning and sharing like Boston Podcamp have also helped me learn. Several months ago, I had the pleasure of having dinner in Boston with Nancy White and few colleagues who were also in town for the same conference. It's there I met Ken Thompson of Bioteams and who co-wrote the Bioteaming Manifesto. Swarmteams is particularly targetted at those organisations in the voluntary sector who might find it more practical to collaborate round their cell phones (any cell phone) than their computers - we should also be able to provide mobile phone texting coverage anywhere in the world at a very economical price. He invited me to play with the system and give some feedback which I haven't had time to do yet as I'm still recovering. Also, is interested in any pilot project ideas. I will soon, I promise Ken! Robin Good has written the first review here. Annette Kramer has a short piece here and David Wilcox mentions it here. Now that's a different way to use YouTube! I got an email from Christopher Penn who does the Financial Aid Podcast at the Student Loan Network who is hoping to hire a marketing director. He even placed a recruitment video on YouTube! The job description is here.